The area in question, the location of the Swedish knight and the Riis descendants, is an expanse of intermittent marsh, thickly forested three hundred years ago and more. Rather forbidding, I would think. It did and does have meadows on the banks of meandering streams where no doubt the first farms were created. But much of that land appears to be flood plain. Fishing, trapping, and hunting were also part of the old way of life in "Riisakula." 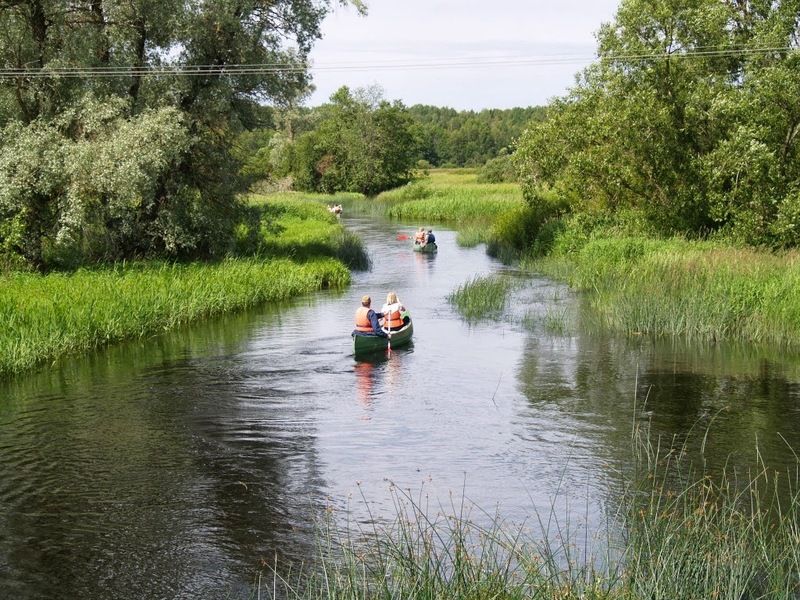 Today, the Riis origins are part of Estonia's Soomaa National Park. Geographically it is between the towns of Viljandi to the east and Parnu to the west. The Halliste river is the main waterway, fed by the Raudna river and other small streams. "RIISAKULA — Riisa, we are born, we Noorusemaa." Noorusemaa, apparently being a proper noun, absolutely refuses to translate for me. "They had their own holy sacrificial places where they sacrificed to that of the harvest. Also tõnnivakk the village. This was the seat of Tõnistua, which all went to St. Anthony's Day holy mind - Tõnn sacrifice, and to ask him to create happiness. The old pagan gods were alive and healthy long after Christianity reached the Baltics; indeed today the northern Baltics are still permeated with great sensibilities toward nature. 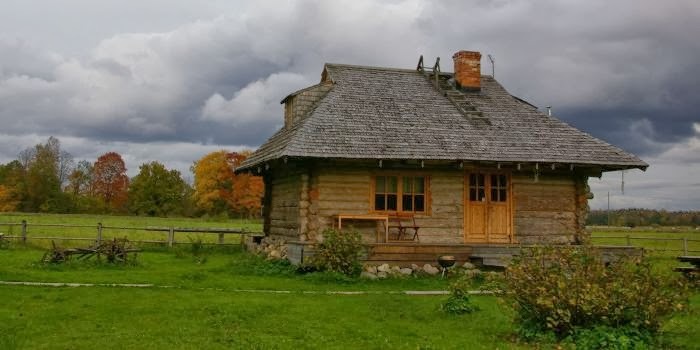 "Tõnistua" or a place of sacrifice, is said to be the only place that survived the wartime destruction of Tiit Kolgis' house in the early 1700s. I can't find a god called Tõnn or something similar but Wikipedia says Taara was the god of nature. Wrapping Tõnn and his seeming relevance to agriculture and/or happiness in the cloak of St Anthony, patron saint of lost things, is an interesting concept! 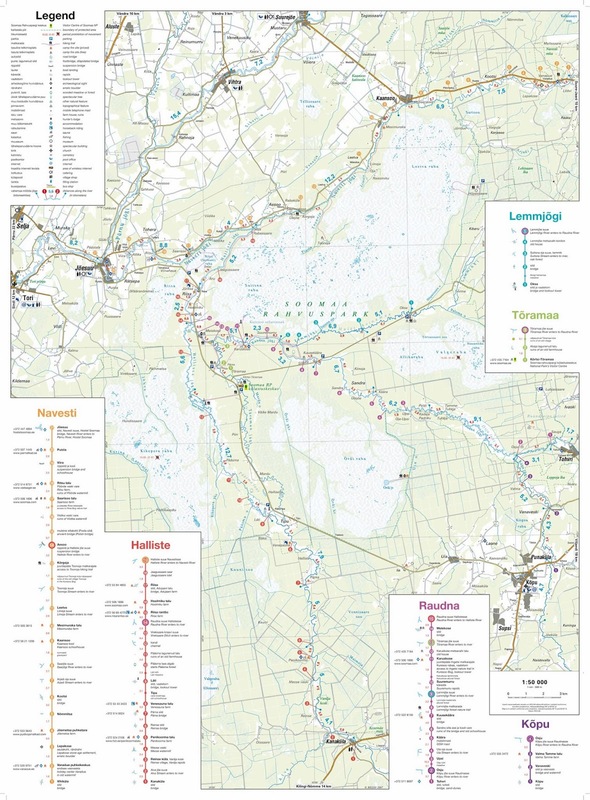 An ideal map of Estonia showing all villages did not materialize until the Soomaa Park revelation. Finding historical farms seemed nigh impossible; the few villages that get a token mention in Google searches have populations of less than one hundred. It doesn't help that historical maps are either in German or Russian, where place names are quite different. This gem of a map is from the Soomaa Park website, at 1:50 000 scale. The villages of Sandra and Tõramaa are shown at the south edge of the park. Vastemoisa village, site of the former manor, lies just to the east of Sandra (off the map). Hoolmiku (Oolmiku) and Riisa are all shown; not all the streams are named, one of which may be the Sillavilla. "Riisa Hall stands in the lower reaches of the river's seat of forests, swamps and marshes behind so that in the old days during the summer when the rest did not make it out alone along the river. In winter, when the bogs and fens was on top of the bridge, it had all the external services, and time to get errands." "Riisa Hall" is not explained, of course, but was presumably the home of a line of descendants. For all I know, some of the eighteenth century houses may still stand. "Ruins of an old farmhouse" are marked at Tõramaa on one of the Park's nature trails. Knowing the church parishes of the time will point to potential marriage and baptismal records. Saaga is the indispensable online database of digitized Estonian church registers if one is proficient in German. One might expect that this independent Riis clan did not always bother with ecclesiastical formalities in early days! Vastemöisa estate was in the parish of Suure-Jaani in historical Viljandimaa county; the church is St. John's, located somewhat north of Vastemöisa village — an obvious place to begin searching. Then again, the Riis settlements were on the eastern edge of Saarde and Tori parishes in Pärnumaa county. Familiar place names for our Jurikas ancestors (a marriage between the families ca.1813) are a mere stone's throw away in Tori which pre-dates Suure-Jaani as a parish. Urmas Haud's website also has a family chart following my direct line in early days. That, plus the "folklore" narratives could well be the source for much of the information on the Geni trees. Haud has obviously researched extensively in local parish and other extant records, concluding that confirmation of the exact original lineage order is not possible. However, there is documented evidence in Swedish tax rolls that farms existed here since 1624. The names Hants, Ewerdt, Tiit, and Gert appear in sporadic records of the 1600s. Sweden, as the seventeenth century master of Livonia, was more or less constantly at war. Almost hidden in his website, Haud includes the (possibly more accurate?) story of a Riis ancestor called Hants from Sandra village. During wartime, this man went north to Tallin to buy salt. There, a "senior Swedish military official" was so impressed with his great size and strength he was recruited into their army. He was given a "knight's outfit, sword, helmet, and even a horse with a saddle." Interpreting the story's remainder is difficult*☺ but it seems to indicate Hants fled his new job to go home — at what point that happened is unknown. His original sword, helmet, and saddle were preserved for a long time, becoming symbolic and synonymous with progenitor of the Riis family. My grateful thanks to Urmas Haud and the Estonian Genies for an intriguing journey into a rich epic, still superficial on my part. Please forgive my neophytic attempt to understand and interpret. I would be so grateful if some of my Estonian cousins pick up on these posts! *☺ Difficult, as for example: "Finally, be prepared dagger sword on the helmet to be broken, and if the kids do Sandra a house in 1912. was burnt down, it may be destroyed in the horse's saddle." "Riisaküla," Urmas Haud, http://www.aai.ee/~urmas/aba/abaja2.html. Sometimes the website allows English translation and sometimes it doesn't. 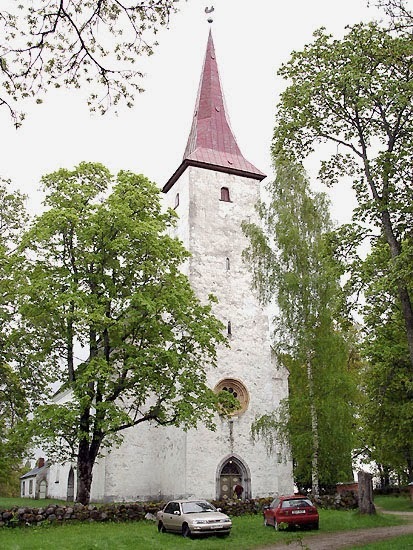 "Suure-Jaani Parish," Estonian Manors, http://www.mois.ee/english/parish/sjaani.shtml.